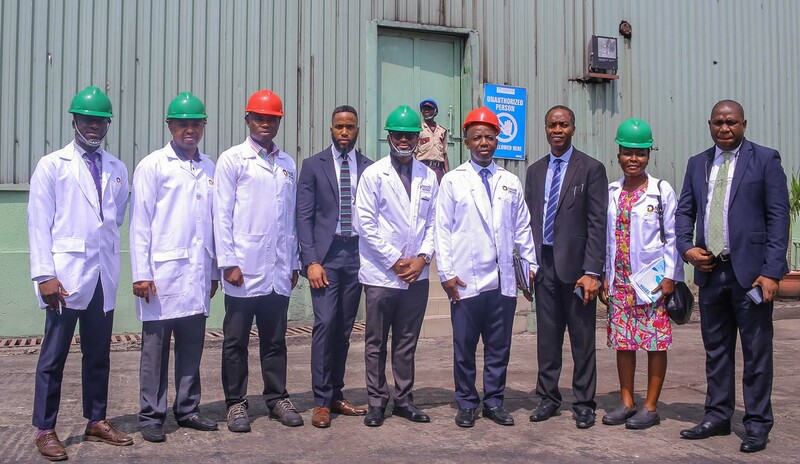 A team from the Federal Ministry of Budget and National Planning under the initiative of Economic Recovery and Growth Plan (ERGP) led by Mr Folarin Alayanda, Senior Special Adviser to the President on ERGP visited the corporate office of Nosak Group and also had a tour to the refineries Lagos. 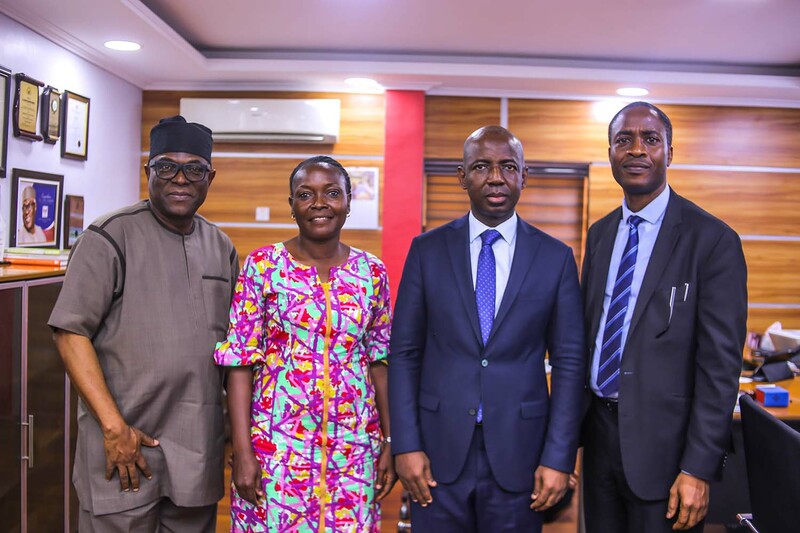 Receiving the delegates, Dr. Toni Ogunbor, Chairman, Nosak Group welcomed the team and appreciated the Federal Government for the Economic Recovery and Growth Plan initiative. 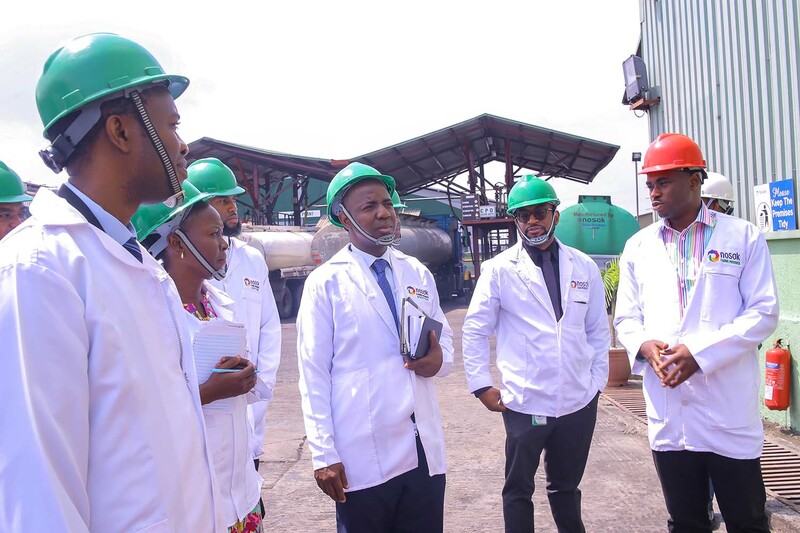 “This is a significant visit for us as we take you through the facilities of Nosak Group subsidiaries – Nosak Farm Produce; makers of Nosak Famili Vegetable Oil and Palm Oil and Nosak Distilleries, which is a leading manufacturer of ethanol in the country”. He continued, “Our subsidiaries are strong players in their various sectors contributing to the growth of the Nigerian Economy and meeting the needs of consumers. We use this opportunity to call on the Federal Government through the office of the Vice President to help us address some of the bottlenecks and inhibitors of having access to funds and approvals of Form M from the CBN”. This he said will go a long way in increasing production capacity for the refineries and also encourage local investors in growing the economy. 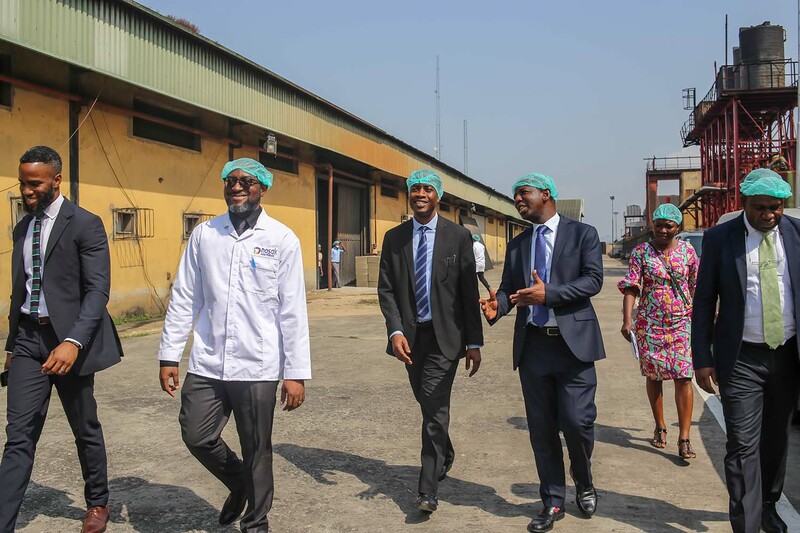 Leading the team at the refinery, Osaheni Ogunbor, Group Executive Director – Operations and Projects explained that Nosak Farm Produce operates a fully automated plant with optimal standard and product quality. 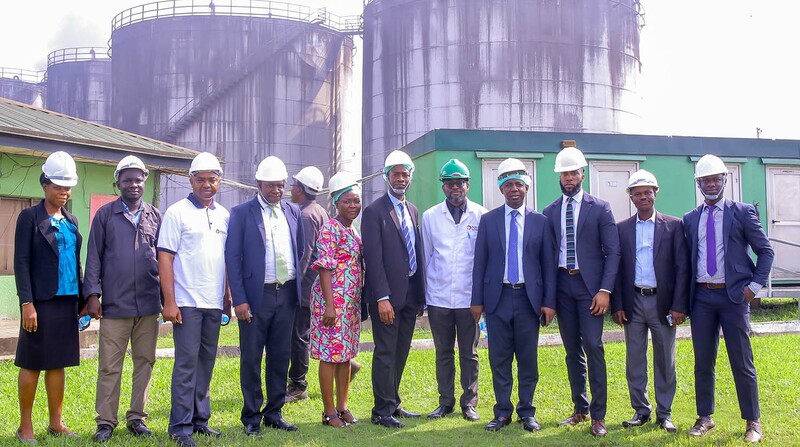 “The refinery is strategically located at the corridor of the Lagos Port and produces refined vegetable oil, refined bleached and deodorised olein (RBDO), stearin and palm fatty acid distillate. We produce an average of 60,000 metric tonnes (200 metric tonnes) of refined vegetable oil a year”, he said. Ogunbor added that the activities in the refinery are complemented by the existence of tank farms with a storage capacity of about 50 million litres per month. 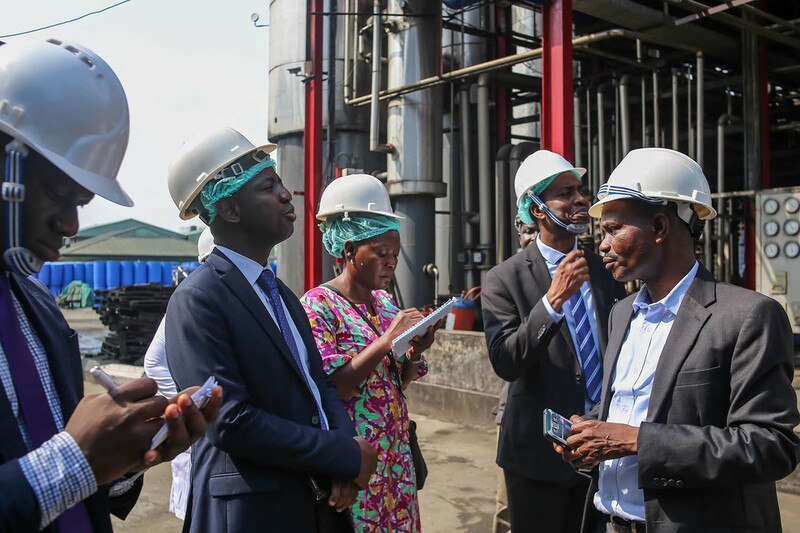 In a similar tour, the team was led to the refinery of Nosak Distilleries, which is a leading manufacturer of ethanol in Nigeria and West African sub-region. 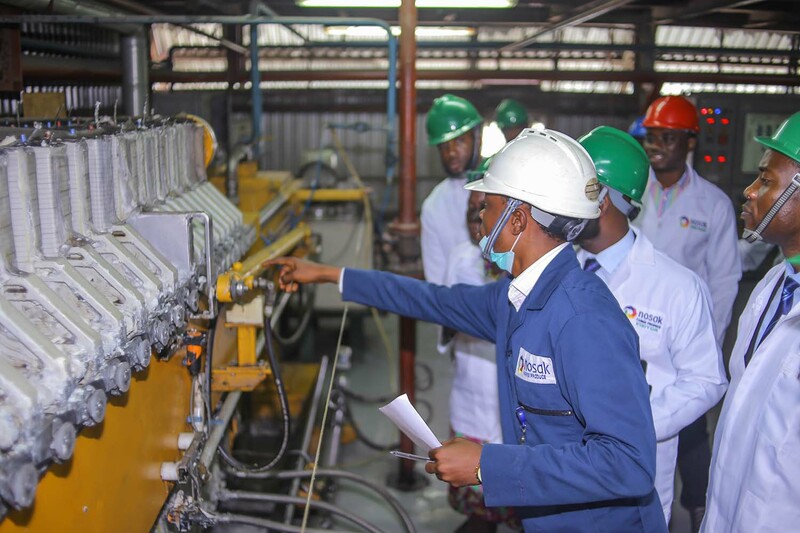 Osaro Omogiade, General Manager, Nosak Distilleries Limited disclosed that the refinery has three plants with a combined capacity of 400,000 litres of ethanol per day. 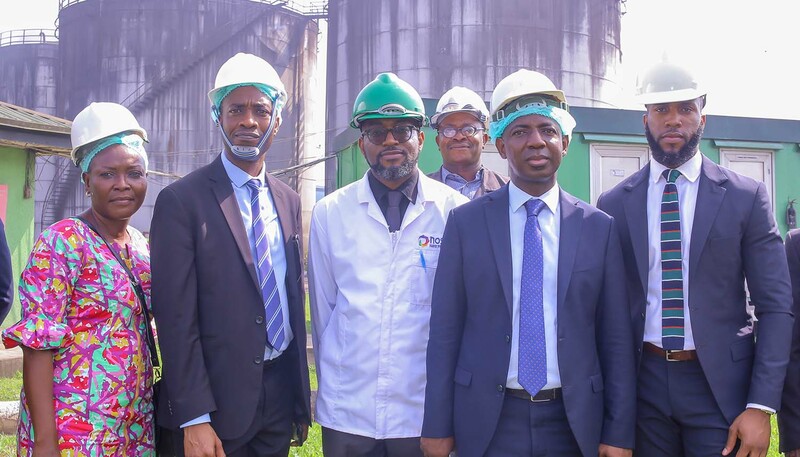 “We have a tank farm in Apapa Port where imported crude ethanol is received and transported to the storage facilities at the factory in Amuwo-Odofin for processing and packaging. 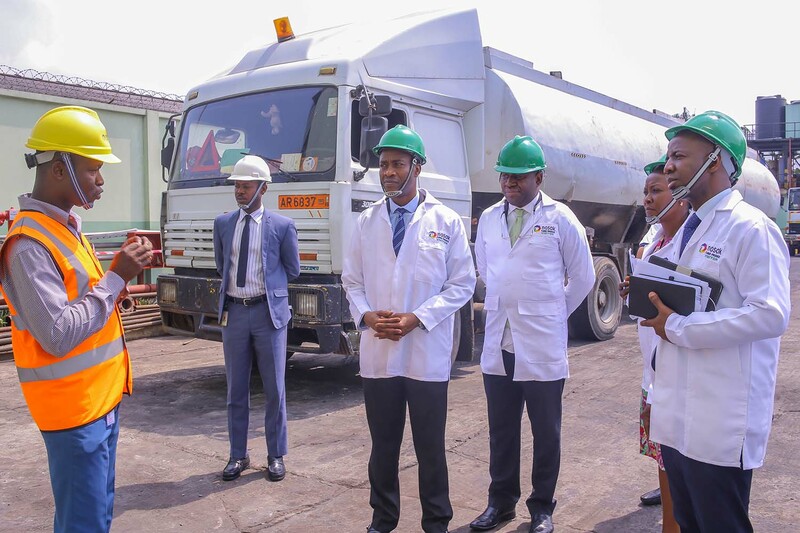 The finished products are supplied in tankers, 250 litres drums and 5 litres kegs to leading breweries and pharmaceutical companies as well as exported to Ghana and Cameroun”, he explained. 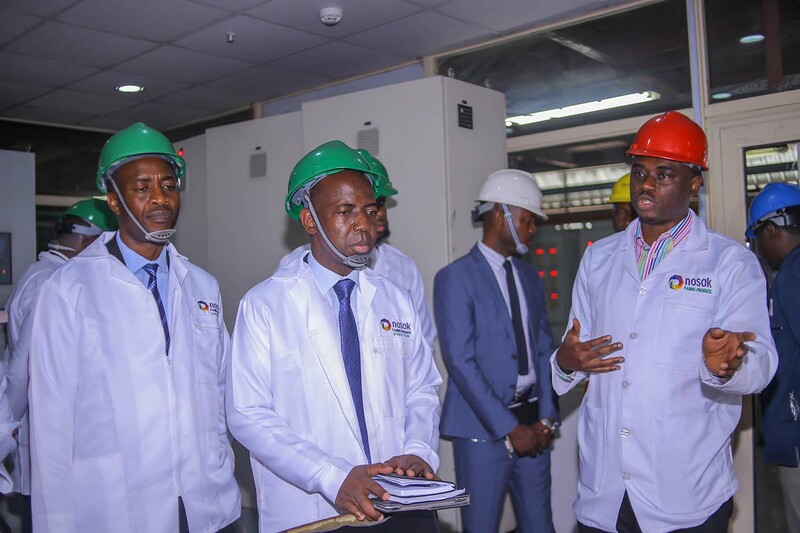 Responding on behalf of the team, Folarin Alayanda, lauded the Group for the strategic investments made across various sectors of the economy and contributing immensely to nation building. “The Government will work towards ensuring that related issues on the Group’s investments are looked into and resolved in no distant time”, he said. Nosak Group is a diversified business group with interests in key sectors of the Nigerian economy. These includes agriculture, manufacturing, international trade, logistics, pharmaceuticals and supermarket. The Group also offer services in real estate, leasing and insurance with a network of local and international alliances.